Facebook has launched Messenger Lite app on Android for emerging markets such as Kenya, Tunisia, Malaysia, Sri Lanka and Venezuela. The Messenger Lite uses less data and is designed to work in areas with slower internet connections. The Messenger Lite app helps users quickly and easily send text, photos and links. Messenger Lite is under 10MB, so it’s fast to install and quick to start up. It includes Messenger’s core experiences such as messaging, sending and receiving photos and links, and receiving stickers. Messenger Lite uses the same bolt logo as Messenger, but with colors reversed. The bolt is blue with a white chat bubble background. 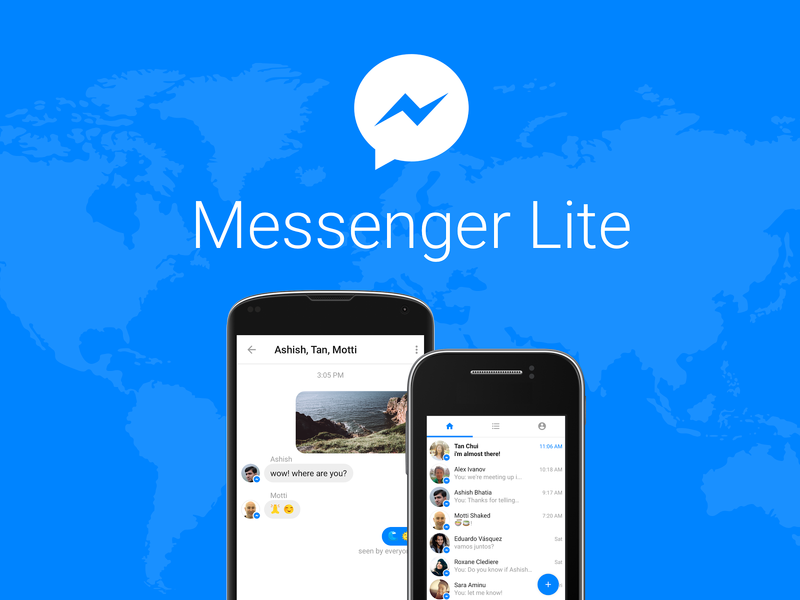 Surprisingly, Facebook has not launched the Messenger Lite app in India yet. The social network plans to roll it out to other markets in coming months. Last year in June, Facebook Lite for low end Android devices was launched which has over 100 million monthly active users. Facebook Messenger has more than 1 billion monthly active users. Like Facebook Lite this probably won't be available widely on Google Play, but it should be installable via sideload, if you can find the APK. It doesn't appear to be on the Play Store yet, but when it is we'll let you know.